GoXtra News: 2nd ANNUAL VAAL BEACH PARTY COMEDY NIGHT! 2nd ANNUAL VAAL BEACH PARTY COMEDY NIGHT! 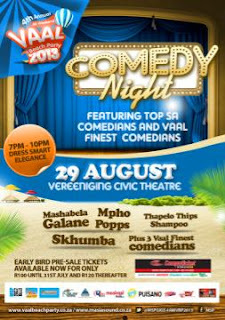 The most talked about event of the year is finally here, the Vaal beach party 2013, and this year the comedy will be held at the Vereeniging civic theatre. The anticipated Vernac comedy show will take on stage on the 29th of August 2013. 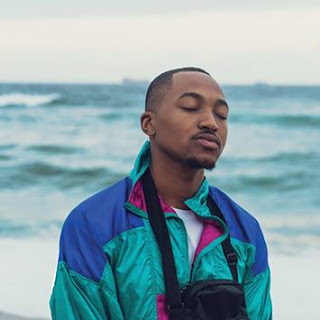 Headliners include 2013 contestant of SABC 3’s Strictly Come Dancing Mpho Popps Modikoane Mashabela Galane, Thapelo “tips” Seemise (Taxi Ride) and “Skhumba” (Taxi Ride). The show will include some of the hottest local comedians in the Vaal. Comedy is one of the fastest growing industries in South Africa and the demand increases every year. The comedy nights adds the element of “entertainment” for everyone during the festival. Masia Sound Productions (MSP) Communications manager, Malebo says “People enjoyed comedy last year and this year, we took it upon ourselves to bring in the big names in the comedy industry to entertain the audience in their respective indigenous languages”. Come and join in on the festivities of the Spring Weekend on the 29th of August. Ticket Prices: R120 at computicket and at the door.